The Frebbles regularly invite their daughter and family to their Suffolk home for the weekend. Two adults, 2 teenagers - and the incontinent dog. This provides wife, Virginia, with a short and welcome respite from her curmudgeonly husband, Stephen, who would prefer to remain reclusive in his armchair in front of the TV and behind The Daily Telegraph. On this particularly weekend they are joined for dinner on the Saturday evening by their neighbours - and the chiropodist who happens to have called by. 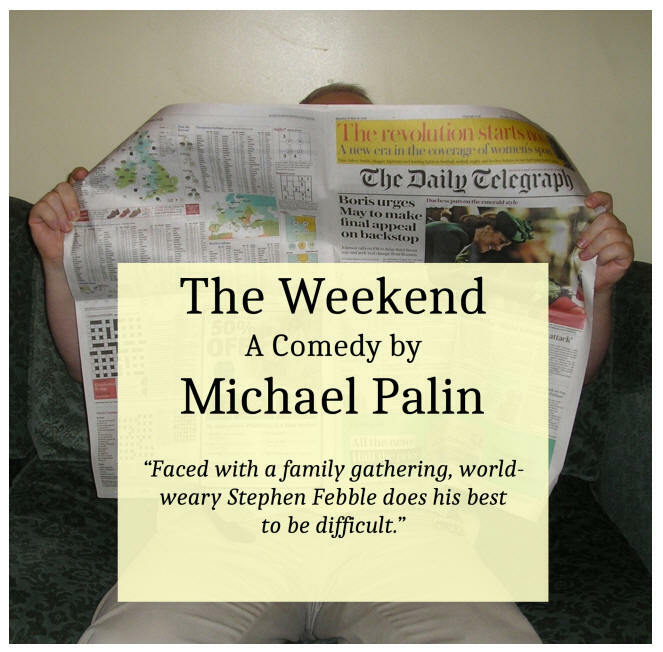 Playwright, Michael Palin, brings humour and pathos to this entertaining take on family life.